What is it with (some) men and toiletries? I currently have no shampoo as apparently it’s the same thing as shower gel. No, no it is not. One is designed to clean hair, one to clean skin. Skin is alive, hair is dead from the moment it leaves your scalp. It’s not the flipping same, it.is.not. And yes, it annoyed me! I would have had qualifications in this if I wasn’t skint as a late teen. I did hairdressing, don’t tell me something I *know* isn’t true. It properly winds me up…. So I saved this until Friday just to join in with Mummy Barrow’s ranty Friday, then I don’t seem like a serial complainer. My hair is rubbish already, I over processed it whilst getting it all kinds of beautiful pinks and purples. There is about a snowballs chance in hell that I’m going to a) agree with this madness b) misuse shower gel or c) stay quiet the next time he suggests it! Dear readers, what do you think? Do you use shower gel as shampoo? I mean it’s ok as a one off, say you bought two bottles of conditioner in the shop by mistake? Or you didn’t have that spare bottle you thought you had? We’ve all been there. But would you? Do you? Are you with me or the man on this? Would he use cooking oil instead of car oil? No… So why the hell would I want to wash my hair with skin products? Maybe it’s a man thing? With the hairy chests and bald patches they get confused what to put where?! Then there are those 3in1 nonsense things. Shampoo, shower gel and conditioner, together. Yeah right. Shampoo works by opening the hairs fibres, releasing the dirt and oils, conditioner adds back good moisture and closes the hair back up… think about… both things together does not make sense either. It’s just a gentleish shampoo with moisturising agents, not true conditioner… that just so happens to have past tests for use on plain skin. I dare you, get in the shower and squeeze out 1 squirt of shampoo, another squirt of conditioner, and an equal sized dollop of of shower gel. I bet you wouldn’t be equally happy washing your hair, face and delicate bits with that mankey looking concoction would you? I rest my case, it is just wrong. This is because most mens shower gels also double as shampoo. Like kids stuff. Thankfully my husband knows better than to nick my shampoo. Thank goodness. 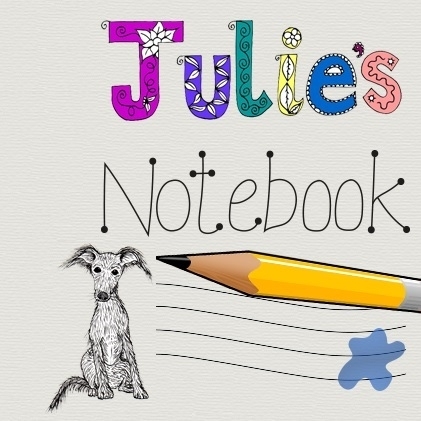 the40yearold recently wrote… Bridget’s Jones’s Diary – The Death of Mark Darcy. Well today I’ve bought some actual shampoo… And was tempted to say loudly “oh look, what does this label say?” but just left it. :-p Put in trolley without being childish… That was tricky! This is a hilarious post and I would gladly give you a bottle of shampoo if I lived nearby. I would never use body wash in place of shampoo. Worst case scenario, I would use kids or mens shampoo. Christy Garrett @ Uplifting Families recently wrote… Godly Home: Teaching Children How To Handle Anger in a Constructive Manner. Send me your address. I nick it from hotels and have a stash. Will gladly do you an emergency supply box.